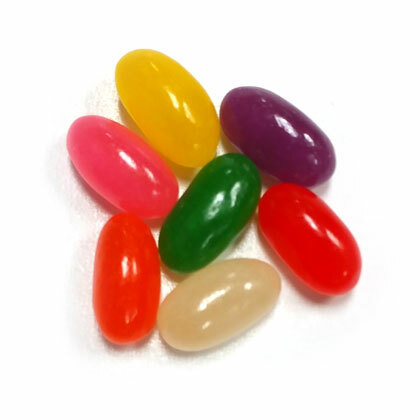 Pectin Jelly Beans from Jelly Belly. Traditional jelly beans in spring colors. Slightly larger and a bit chewier than normal Jelly Belly jelly beans, they come in an assorted mix of cherry, grape, lemon, lime, orange, pineapple and strawberry flavors. 7 oz bag. Approx 14 beans per oz.